Celebration of Life for Connie M. Kielsmeier will be held at 2:00 P.M. on Thursday February 14, 2019 at Hindt Funeral Home in Grand Meadow. Visitation will be held 1hr prior to the service at the funeral home. 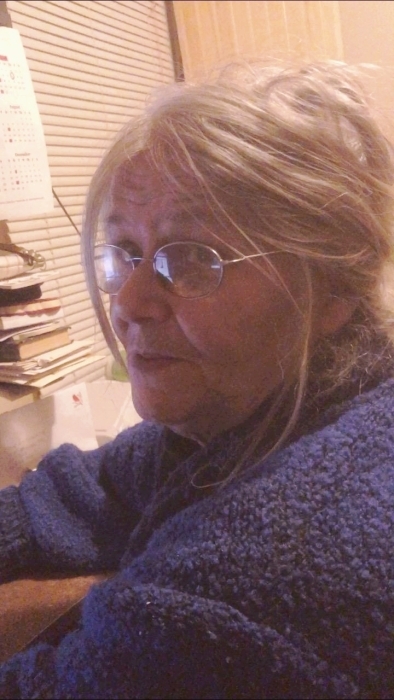 Connie Mae Kielsmeier, age 63, of Grand Meadow died February 8, 2019 at her home In Grand Meadow. She was born April 26, 1955 in Spring Valley, MN to Kenny and Norma (Richardson) Fretty. She attended school in Grand Meadow and was later united in marriage to Jerry Kielsmeier in 1980. They were divorced in 1987. Connie is survived by her 3 children; Jenee Jones, Kristie Kielsmeier, and Adam Kielsmeier all of Grand Meadow, seven grandchildren; Kenton, Alec, Dominick, Elijah, Teegan, asher and Myah, one brother, Eugene (Vicki) Fretty of Grand Meadow and two sisters; Sheila (Kevin) Fretty of Grand Meadow and Lori (Tim) Larson both of Grand Meadow. She was preceded in death by her parents Ken and Norma Fretty and her significant other Tim “Griz” Sauer.